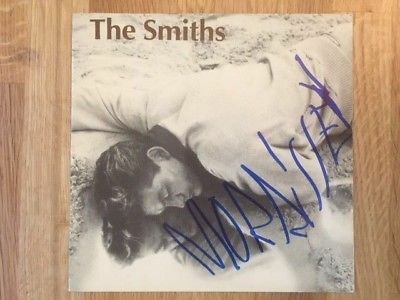 Original 7" single signed by Morrissey. I bought it from a collector years ago, I cannot tell you when/where it was signed but I checked it out and it is 100% the real deal. I am happy to give you a COA offering a full money back guarantee. I am getting rid of most of my best bits from my collection under instructions from she who must be obeyed.